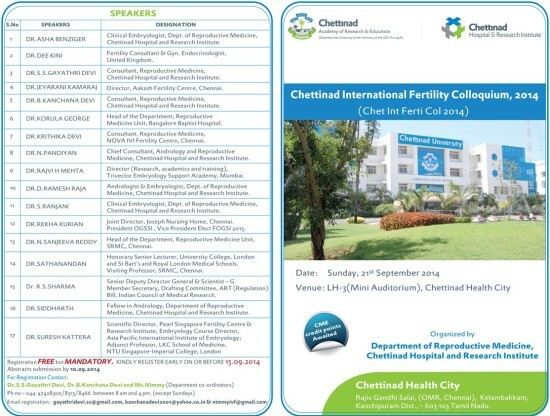 Revised Final announcement - "Chettinad International Fertility Colloquium-2014"
Eminent and Experienced speakers will be addressing various issues in male and female Reproduction. Registration free but Essential. 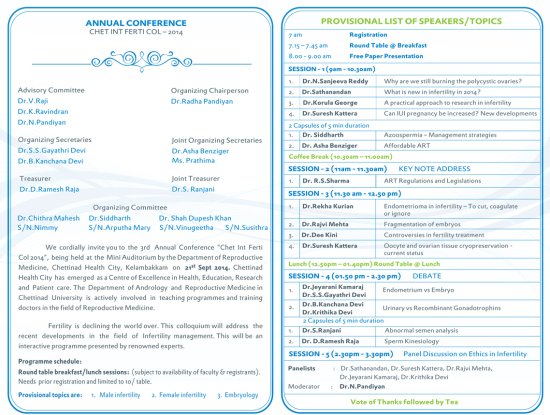 Kindly register early, preferably before 15/9/14.